Spelling. Are you looking for Macrostructure or Mesostructure? 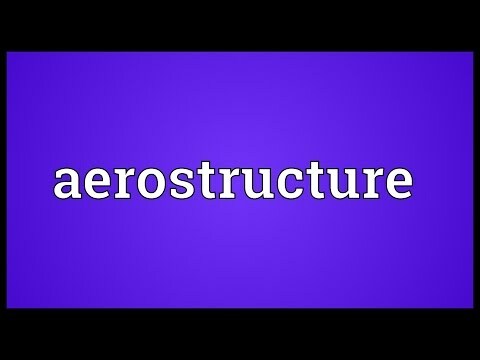 What does Aerostructure mean as a name of something? Aerostructure: An aerostructure is a component of an aircraft&apos;s airframe. This may include all or part of the fuselage, wings, or flight control surfaces. Companies that specialize in constructing these components are referred to as "aerostructures manufacturers," though many larger aerospace firms with a more diversified product portfolio also build aerostructures. The value of this 13-letter word is 15 points, but it's not an accepted word in the Official Scrabble Players Dictionary. Go to the usage examples of Aerostructure to see it in context! This page was last modified on 14 June 2016.